Meeting room technology is intended to enhance and simplify office meetings. But often, the opposite occurs. 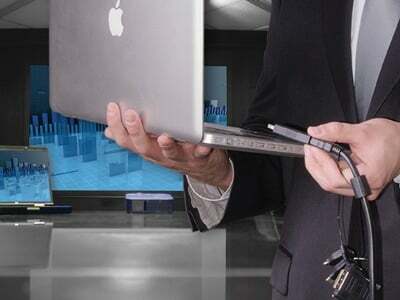 Interestingly enough, it’s the most frequently plagued area of technology-related stress, where IT and AV personnel are faced with a constant stream of incompatible equipment when a new device struts into the room since they all sport varying connection access ports. When it comes time to share our information, in a sea of varying devices, how do you prepare to give your presenter the right connection to share their content in today’s BYOD world?